Are You an Immature Athlete? 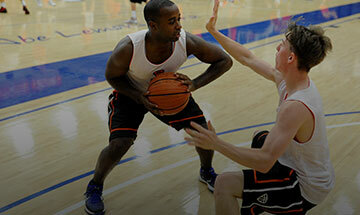 During basketball practice, seek to be mature, not right. After practice you can work out the rights and wrongs, removed from the tension of competition and performance. What is the difference between a mature athlete and an immature athlete? The answer to this very important question every athlete ought to ask and think about daily is one hour. Upon hearing this question and its answer, a lot of athletes assume they have heard something incorrectly. They look confused, and they need to hear it stated clearly: The difference between an immature athlete and a mature athlete is one hour. An immature athlete gets criticized in practice and immediately offers an explanation or an argument, or maybe just makes a face or a gesture. A mature athlete waits an hour to respond. He may, if he then feels so inclined, do the same things an immature athlete does. The responses themselves are not really what determine your maturity level. What matters is whether or not you have learned to consider your responses. Can you wait till you’ve cooled down and had a chance to think and put the comments or criticisms in context? Or do you feel compelled to answer a negative the moment it comes at you? Thousands, probably millions, of athletes around the world have all sorts of explanations and justifications for why they do what they do and why they had no choice in a particular instance. But they are still immature. They never learned the value of waiting. If you wait before you respond, then even if you choose to roll your eyes or frown or question or argue, your coach will respect your maturity and probably your ideas. But if you feel compelled to respond immediately, you will lose the respect of your teammates and your coach. You are immature. Learn to take all the criticism or negatives and hold onto them for an hour. If, after practice, you still think something is important, you would be wise—and mature—to bring it to your coach’s or teammate’s attention. And you will very likely be respected for doing so if your ideas have any merit at all. The problem is that there are a lot more immature athletes than mature ones. While they argue with their coach to prove they are right about something, they don’t even realize that any champion looking on would find them to be immature and wrong even if their argument seemed right. During practice, seek to be mature, not right. After practice you can work out the rights and wrongs, removed from the tension of competition and performance. Inexperienced and selfish athletes often go through their whole lives never realizing that, in building a championship team, it is much more important to be mature in practice than it is to be right in an argument with the coach. The difference between a mature and an immature athlete is one hour. It makes perfectly good sense after all, doesn’t it?